These sketchs and drawings were made as part of my NESTA fellowship work. The painting was made a few years later. Zanzibar can have a 'rough and ready' feel to it and its not always comfortable walking around late at night. 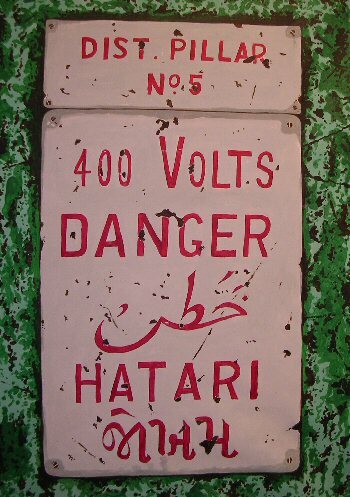 This painting of an old weather beaten electrical service cover I came across on a crumbling wall in Stonetown sort of summed up (in four languages: English, Arabic, Swahili and Indian) in my mind the need to keep alert.